brandflakesforbreakfast: shave with beer. save men everywhere. shave with beer. save men everywhere. The start of November means kicking off the ever increasingly popular Movember for men's health. 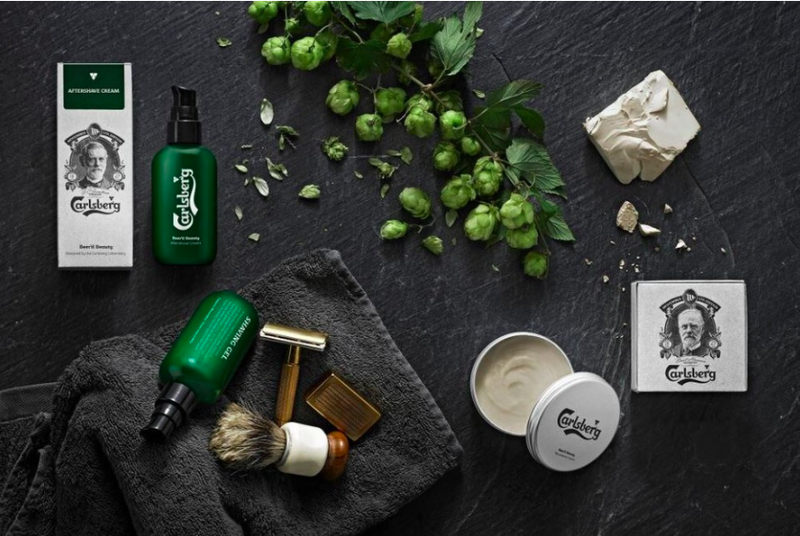 To support the initiative, Carlsberg shaving products have released a limited edition set that's made with...wait for it...beer! Carlsberg premium pilsner apparently provides ingredients for a great shave - but mostly it's just cool! Happy Movember - start shopping and get growing!